Hold the presses! There are no mandates in a free society! Mandates are inconsistent with freedom. In a free society we are free to reject scientific dogma in favor of intuition. We are free to be political or apolitical. In a free society we have something called choice. The introduction of vaccine mandates in America is a wake up call to ask ourselves, are we free or are we slaves? The Era of Mandates has rolled in like a thick fog from the west coast under California law SB277, and sets the stage for the rest of the nation to follow. At least 103 new bills in 30 states have been introduced to remove vaccine exemptions. Without exemptions there is no informed-consent. Without informed-consent there is no choice. Without choice there are no Rights. Without Rights there is no freedom. Yet there is always your power of consent – to accept or deny, to tolerate or not. 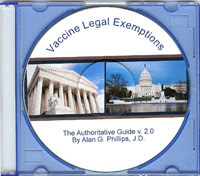 The government manipulates public opinion and engineers consent though messengers such as Erwin Chemerinsky, Dean of the University of California, Irvine school of law and adviser to California’s vaccine mandate law, SB 277 . The message is Compulsory Vaccination Laws Are Constitutional. “Vaccine Mandates are Constitutional” translates to “Your body is government Property.” Those who write the narrative, control the outcome and hold the power. Those in power turn the Constitution, as a Charter of Freedom, on its head. The constitution exists to protect individual liberty and individual property. And the foundation of all rights are the rights to private property. The right to private property is a right of each individual human being to own himself. The only time republicans talk about the Constitution is whenever they want to use it to block something the democrats are trying to do. And the only time you ever hear a democrat talking about the Constitution is when they want to try to use it try to block something the republicans are trying to do. Today, individuals appear to have no protections or Rights. Three separate branches of government (Executive, Legislative, Judicial) are one. There are no checks and balances. From 1937 to 1955, the Supreme Court did not declare a single law as unconstitutional. And it continues. While two sides play tug of war with the Constitution, American freedom is caught in the crosshairs. How can the Constitution be open to such a wide range of interpretation? One word, “Property.” At the signing of the Constitution, People equaled Property equaled slavery. Slavery was not only tolerated in the Constitution, it was codified as law. The Constitution of 1787 did not mention slavery because it was an accepted practice of the times. Slavery was lawful in every one of the 13 colonies. Even Abraham Lincoln said that racial slavery was Constitutionally implied, but not expressed. The Constitution of 1787 is, therefore, a “slave-holder’s Constitution.” Slavery is referenced in the Constitution in a few key places (the Enumeration Clause, Article 1, Section 9, The Fugitive Slave Clause). Opponents to a free America, such as Alexander Hamilton and others (the original Goldman Sachs), saw that the Constitution could further be interpreted as a rubber stamp to anything the federal government wanted to do under the idea of “Implied Powers.” Hamilton also invented the expansive interpretations of the General Welfare and Commerce Clauses to control the economy. He saw that if you install enough government judges on the Supreme Court who are like-minded, the intent of the Constitution is destroyed. However, there is another Charter created to protect freedom. This document is completely ignored by those who would destroy the intent of the Constitution. Its content leaves no room for interpretation. It is a key to unlocking freedom for all people. The Declaration of Independence does not contain the word “Property.” In 1776, Thomas Jefferson changed the phrasing of John Locke’s trinity of “Life, Liberty, and Property” by replacing “property” with “the pursuit of happiness,” (even though Jefferson’s own “property” included about two hundred human beings whom he prevented from pursuing their own happiness). At the official end of the Civil War, with the formal surrender of the Confederacy at Appomattox Courthouse, the Declaration was codified into law. Racial slavery ended. The Declaration made clear that “All Men Are Created Equal” (even though women were not yet considered equal to men). Four score and seven years ago… this nation, under God, shall have a new birth of freedom—and that government of the people, by the people, for the people, shall not perish from the earth. Four score and seven years ago is the date of July 4th 1776, the DECLARATION – not the Constitution of September 17, 1787. This was no accident. Lincoln showed his commitment when he reintroduced the greenback national currency, independent from the power of the Central banks. That act would bring an end to both Lincoln and a free currency. After Lincoln’s death, the only thing standing in the way of the Hamiltonian mindset of control was the Declaration of Independence. Without the Declaration, many in power believed that “slavery” remained legal under the Constitution. Only racial slavery was illegal. Under Hamilton’s vision, economic slavery needed to be expanded and made legal through the courts. In 1866, case law ensured that the Declaration would be invalidated. In Santa Clara County v. Southern Pacific Railroad Company, the Supreme Court held that the Fourteenth Amendment of the Constitution granted corporations Rights above persons. In other words, Rights equal Money. Those who had more money had more Rights. A later opinion, Citizens United v. FEC, reinforced this. The result is that People = Property. In Bush v. Gore, the majority opinion echoed that the “average citizen” has no Constitutional Right to elect the POTUS and that this Right rests firmly with Electors. No Inherent Rights, only State-granted Rights. The result today is that everyone is a slave. Yet some slaves are “more equal” than others due to pedigree, privilege, and connections. State-granted privileges replace Inherent Rights under the facade of democracy and freedom. Under government’s interpretation, no one has Rights – only the perception of having Rights. Today, America resembles a police state, an Oligarchy. If you disagree, ask yourself why the courts continue to reject appeals and constitutional challenges to vaccine mandates? Why do Child Protection Services (CPS) remove children from the home if parents have a natural Right to raise their children? Why are peaceful protests shut down if the First Amendment protects free speech? Because in the eyes of the law People equals Property and State-granted Rights are privileges. If the State holds the power to grant a privilege, the state also holds the power to remove it. Individuals can reclaim freedom through the power of consent. Freedom is lost when individuals fail to withdraw consent. By asking permission to ‘opt out’ from any mandate issued by the State, you inadvertently grant your Government de facto authority over your body. While the State claims it has a prima facie duty to “protect” the public from the morbidity and mortality of communicable diseases, through mandatory vaccination, we must ask, “By what authority and by whose consent?” Today, those in power use the Constitution as an excuse to restrain people and to police the world. The intended purpose of the Constitution has always been to restrain the government. A little research will show there is no constitutional right to be protected by government. In 1856, the U.S. Supreme Court (South v. Maryland) found that law enforcement officers had no duty to protect any individual. Their duty is to enforce the law in general. This was reinforced n 1982 (Bowers v. DeVito), the Court of Appeals, Seventh Circuit, and again in 2005 (Castle Rock v. Gonzales, 545 U.S. 748). The role of government is to preserve liberty and freedom (the right to choose), as well as to protect private property rights and the general welfare (i.e., border security). The role of government is not to run lives of the people, or the economy under the General Welfare Clause. The people do not consent. Everything written is open to interpretation. Freedom is not open to interpretation. Once something is forced through mandates, choice becomes obsolete. Without “informed-consent” the “need to know” no longer applies. If Lincoln were alive today, he might ask us to see beyond his vision. A new birth of freedom now requires us to see that freedom is not found in any document or Charter. Freedom does not require codification into law. Freedom is not found in any court of opinion. True freedom is embodied in each of us as a state of mind and a way of being. Freedom flows from our humanity by birth, granted by the Creator, not by the State. The Declaration of Independence refers to God as “natural law or nature’s law, unalienable…and the Creator.” Freedom equals Private Property equals the Individual. You own your body. You make your own choices. You feel it in your bones. The laws of nature are the laws of God, whose authority can be superseded by no power on earth. A legislature must not obstruct our obedience to him from whose punishments they cannot protect us. All human constitutions which contradict his cannot protect us. All human constitutions which contradict his (God’s) laws, we are in conscience bound to disobey. 1772, Robin v. Hardaway, 1 Jefferson 109. Rosanne Lindsay is a board certified Naturopathic doctor and Tribal healer under the Turtle Island Provider Network. She is a Health Freedom advocate, writer, and author of the book The Nature of Healing, Heal the Body, Heal the Planet. Find her on Facebook at Rosanne Lindsay and Natureofhealing, where this article first appeared, and consult with her (long-distance consults available) at natureofhealing.org. 9 Comments on "“Mandates Are Constitutional.” NOT!" With the children no longer being taught cursive writing, soon there will be few with the skill to read the constitution. In 1606 King James set up The Virginia Company to begin settlements in Virginia. Its early members were aristocrats. Eventually it was disolved and formed into a royal colony. After the original 13 colony’s ‘independence,’ an ‘independent’ country was formed. The Virginia Company simply changed its name to the United States of America. There are two USAs… a USA and a usA. The united states of America with a lower case ‘u’ and ‘s’ are the lands of the various states. The United States of America, capital ‘U’ and ‘S’, is the acreage on which is built the federal capital, Washington DC and the District of Columbia. The USA is not a country, it’s a corporation owned by the same bloodlines who owned the Virginia Company, because IT IS the Virginia Company! Yes, you’re exactly right. There is the shadow government, the USA Corp. and the united states of America. In lieu of repeating history or learning the past (which keeps us stuck there), we can opt out of a criminal government that overrides our intended Constitutional Republic. As David icke also says, those documents are just paper and paper is not going to protect you. Instead, we must align with Natural Law and the Precautionary Principle. The Precautionary Principle says first, do no harm. Do we not harm human evolution when we give up the right to choose? If each of us embody the new Body Republic, we bring the power of nature and Natural Law back where it belongs, back to the individual. We are the value. We must all, individually, embody the Declaration of Independence to reassert our natural rights if we are to experience them. As Natural Law dictates, what affects one affects us all. Thanks Rosanne, refreshing to recieve replies of substance. The Precautionary Principle apoears to be based on the good will and morality of those creating the situation of possible public harm. The natural evolutionary process, as you well know, has been taken over by soviopathic, nefarious agendas of power and control. The result so far is the obvious degragation of most systems. It is difficult for most people to embrace the idea that really bad people have changed the natural course of human development. One here’s statements that “Well, it’s always been this way…” pertaining usually things like war and dominance of one group over another. They have been controlled by these insane people who write the history books. Reality is prior to the development of the organized religious church state about 5000 years ago for thousands of years tribal cultures lived in egalitarian socirties where bith sexes had equal rights, there were no standing armies or glorification of war and warriors. They were the true civilized people, not “savages” as told by the conquering masses. Yes, and now we all have a chance to reverse the destruction and perversion of our natural state, which is freedom. It is instinctual to stand up to tyranny whenever we find it, but that requires an awareness that there is tyranny. We have been conditioned through the systems of the matrix to believe what we’ve been told. Yet our history is only written by the winners. Today, the mainstream news legally propagandizes the people without informed-consent. It is up to each of us to call it out where we see it and inform others. Not everyone will join in. As stated in the article, freedom is individual. We must each feel it and express it. It is not a group paradigm, but it can become a majority paradigm if enough individuals take up the posture. Call it the 100th Monkey Phenomenon. And we must do this in peace or we end up repeating history and giving energy to the very forces that claim to hold power of us. The power of NO will be important in the years ahead. Been reading my mind friend. So true. No law says they can’t lie unfortunately. The gifts we have however…free will, the Internet, and our intuitive nature combined brings us here to the tribal “drum” to share with others, insight, ideas, and kindness. I do a lot. The expansion of group consciousness is one of TPTB’s fears. That is why the occult (hidden) knowledge has been so important to them. So true, and IMO we can’t do this alone. We need each other’s gifts to make through the darkness. No solitary survivalist mentality need apply. ? Liberty was formally lost in America when the 18th-century Enlightenment founders made liberty a goal (almost a god) instead of a corollary of implementing Yahweh’s perfect law of liberty (Psalm 19:7-11, 119:44-45, James 2:12) as the supreme law of the land. Today’s America is merely reaping the inevitable whirlwind resulting from the wind sown by the constitutional framers. For more, see online Chapter 3 “The Preamble: WE THE PEOPLE vs. YAHWEH” of “Bible Law vs, the United States Constitution: The Christian Perspective.” Click on my name, then our website. Go to our Online Books page, click on the top entry, and scroll down to Chapter 3. There are truths in many books and religions but they are not highlighted. The truth that can unite all people is the divine nature of humanity. For there to be a new birth of freedom, we must put our differences aside to see that to preserve the essence of humanity is to see ourselves as divine and bring the Creator back into the picture. The new sheriff is a game changer. He may not be everyone’s cup of tea, but he is waking people up. And that is exactly what needs to happen.